Belly dance is really good for you! Not only is it good for you physically (it increases blood flow, heart rate, helps improve muscle tone, balance, and co-ordination), but it is also good for you mentally (makes you feel good, improves mood, makes you laugh/smile). 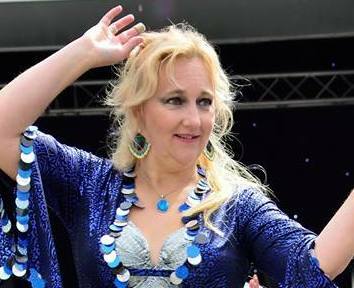 For more information about the benefits of belly dance, why not visit the link to Deepdale Shopping Park. This class has been designed for students with at least one year's experience if not more. If you are a new dancer please see my beginners classes. In these lessons I like to develop students by teaching more technique, but also introducing other aspects of the dance such as prop use, different styles of belly dance, musicality and instrumentation. I also teach performance skills and sometimes choreography as there are several opportunities each year to perform at local events, the main one being the Penwortham Gala. All students are given the opportunity to perform at these events if they wish. Starting on Monday 11th March, this is a new class designed for complete beginners. It is probable that there will be mixed abilities in this class depending on when you start the class etc., but all lessons can be tailored according to who is in attendance. Students will learn the basic moves used in Egyptian style belly dance and learn how to dance these to music and link them together. As students develop choreography will be introduced as well as an introduction to different styles etc. There are two payment options available for this class; pay as you go (£5 per hour per week), or buy 5 lessons and get the 6th one free! Please use the buttons below to select your payment option. Please note: The leisure centre is closed on Bank Holidays so there are no classes on these days.